Dinner on the couch, shoes inside the cabinet, loft beds and apartment shares with Craigslisters....New Yorkers lives in a tiny space everyday! In the heart of the city, if you could find a 500 sq ft studio for less than $1500, you are consider lucky. So, what's the solutions if more people are moving into the city And with Mayor Bloomberg’s PlaNYC report predicting that Gotham will gain 1 million new residents by 2030, space will continue to come at a premium. As in many urban areas across the country, the proportion of single adults is soaring. 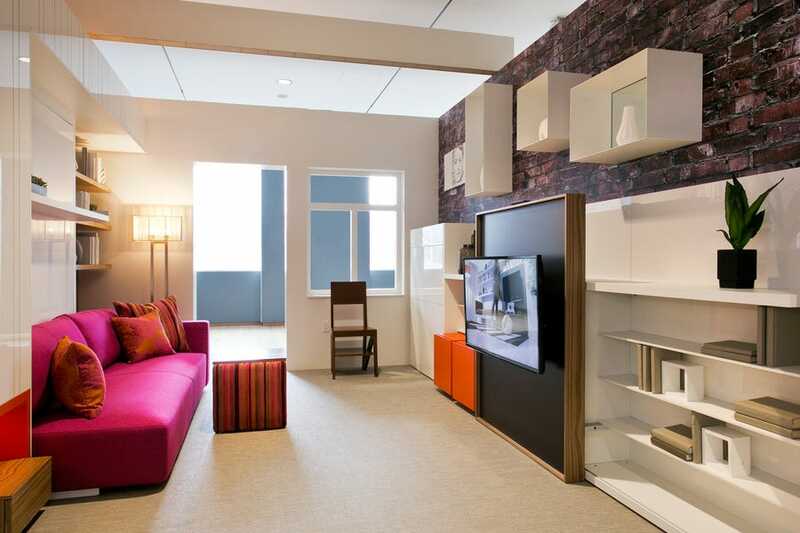 So Mayor Bloomberg set foot and launched a micro-apartment plan, although cities such as San Francisco and Tokyo have already taken similar steps. A micro-apartment is typically defined as a studio with less than 400 square feet, not much bigger than a typical college dorm room. These apartments, at 250 to 370 square feet, will be exempt from city rules that require new units to be at least 400 square feet. With smaller living spaces, new apartment buildings could literally pack in more renters. That’s the “less is more” concept that drove the competition to design, construct and operate the city’s first micro-unit apartment building. The 55 micro-apartments, on a city-owned site at 335 East 27th Street in Manhattan, are supposed to be ready for move-in by September 2015. There’s no indication yet of what the units will cost to rent, but 22 of them will be set aside for low- and middle-income renters who make 80 percent to 155 percent of the Area Median Income. The income-restricted unit rents will range from $940 to $1,870 a month, city housing officials told Yahoo! Homes. "The Museum of the City of New York—in conjunction with CHPC—has opened “Making Room,” an exhibit presenting ways that housing might accommodate these changing demographics. The show displays models, videos and photographs, along with a full-scale, 325-square-foot micro-unit built right into the gallery, designed by Pierluigi Colombo (of Italian design firm Clei) and Amie Gross Architects. We spoke with co-curator Donald Albrecht, who organized the exhibition with Andrew W. Mellon post-doctoral curatorial fellow Andrea Renner, about the mini digs and how the city can maximize space for the exploding single population. 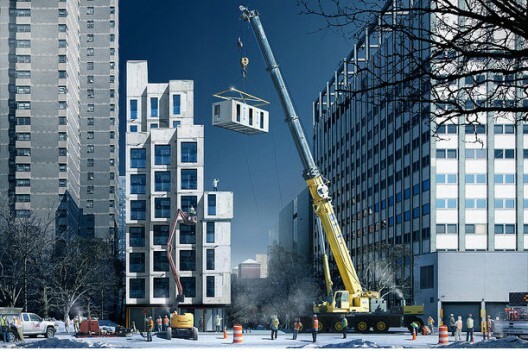 DON’T MISS THIS In July 2012, the Bloomberg administration launched adAPT, a competition to develop an entire building of modular micro-units for one- or two-person households. The winning design has been approved for construction on E 27th St; it is on display as part of the exhibit along with four other notable proposals. Nice concept, but it s too small even for one person. Why people still want to move into NYC when there is pretty much no space for anything! Chennai presents a wide variety of flats admist the beautiful scenerios. These flats make you fall in love with them.